We want to wish everyone a happy, safe and prosperous New Year! Thank you for all your support throughout the year. Without you we wouldn’t be here and without us where would you get your hobby fix! We just want to wish everyone a Merry Christmas! We hope your day is filled with family, fun and laughter! Enjoy your day and thank you for your patronage throughout the year. Come and get yourself a gift! 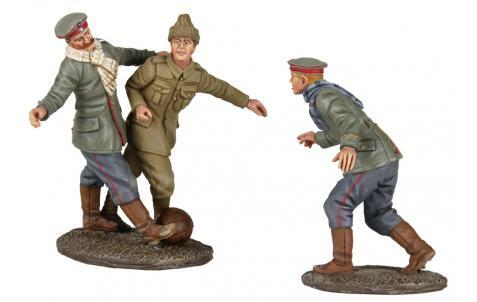 We have a great selection of Military Books, Games, 12″ Action Figures, Plastic Soldiers, Models and More! New King and Country Arriving today! new 1/32 Scale Medieval Knights coming soon! Open gaming and Booster drafts ever Thursday night. We have also added a bunch of singles from the latest release to our binder. Greetings & Welcome to December! I hope this email finds you happy and warm, and not too stressed about the holidays. Wow, this year has flown by and the new year is just around the corner. Fortunately, we have plenty of great items and new stock coming in daily. The store will be open everyday this month except the 25th. We have made a few website upgrades that may be useful. We have added a “pre-order” button on all future releases so you can quickly reserve an item without doing a full check out. We will email you when the item is ready to order. We have also changed the product arrangement to have more items show per page as well as be in Z-A order so the newer items will be on top of the pages. There are a few other minor things as well such as company logos showing under manufacturers and our color logo being placed on the online invoice. We have also added more links to the email per a customer request. Speak and you shall be heard!. 1.We will not be attending the Toy Soldier Show in VA this weekend. 2. The Collection of Glossy Figures recently acquired have now all been listed on our website or on ebay under our seller name: mhobbunker. The Odd bits are on display in the store. 4. SALE ITEMS” We just put dozens of items from Imex Model Co., Accurate, Red Box (1/72), W. Britains, Forces of Valor, Thomas Gunn and more on sale! ..What’s in store for you this month…? 1. APPEARING IN DECEMBER…and I hope just in time for Christmas! Mr. Scrooge’s humble clerk from “A Christmas Carol” together with his crippled young son, “Tiny Tim”…Poor but happy. WoD007 “Miss Lucy” A fashionable young lady and popular with the gentlemen. WoD009 “Miss Greene” Another of the capitol’s beauties and, like her name, likes to wear the appropriate colour. WoD012 “George The Grocer” Before supermarkets and convenience stores there was the local grocer who would not only sell you fine produce…he would even personally deliver it! WoD013 “Mr. Chuckster” Another memorable Dickens’ character from “The Old Curiosity Shop”. WoD018 “The Christmas Corner Fountain” A reinvisioning of an old favorite complete with a light frosting of snow and…three little “Robin Redbreasts” resting on the lip of the fountain. A kneeling British corporal, his arm wound already “dressed” waits for transport out of the line. Another British casualty lies on his stretcher for transport back to a base hospital…In the meantime a Medical Orderly offers him a drink of tea. The bearded King George V, in the uniform of a Field Marshal, pays a visit to one of the Military Hospital in Flanders. He is greeted by one of the Ward Sisters. This smart-looking Aussie at attention (and in the “shoulder arms” position) has the red and white patch of the 8th. Infantry Btn. from the State of Victoria. Like the previous two but with the black and green patch of the 1st.Infantry Btn. from New South Wales…mostly Sydney. Stepping out smartly with rifle on shoulder. This soldier belongs to the Victorian 8th. Infantry Btn. As above but with the Queensland 9th.Infantry shoulder patch. Lee Enfield rifle by his side and wearing the famous “Kiwi” lemon-squeezer shaped hat this soldier is immediately recognizable as a proud New Zealander. Not all Kiwis wore the “lemon-squeezer” hat…Some units were issued with the Aussie-style “slouch-hat”. However their coloured striped hat head bands (“puggrees”) easily identified them as “Kiwis”. An Aussie medic helps a wounded “Tommy” get back to the casualty clearing station. His shoulder patch identifies him as a Victorian from the 8th.Infantry Btn. The 1st.Infantry Btn.medic from New South Wales. Our first “Pike & Musket” release featured Parliament’s soldiers under the command of Oliver Cromwell. Now it’s time to produce at least the first of their opponents…from the Royalist Army of King Charles I. This Pikeman wears the typical blue coat of his Royalist Regiment and a different style of steel helmet from his Parliamentary opposite number. Holding his long wooden pike horizontally, this blue-coated warrior awaits battle. 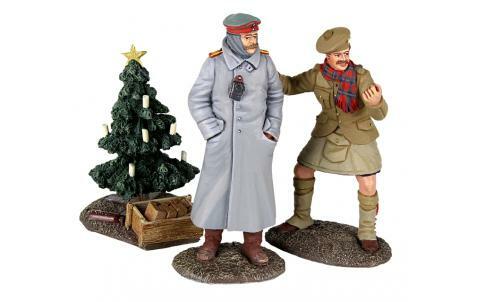 A terrific value, 2 x figure set. Another great value 2 x figure set. Artillery really began to make its presence felt on the battlefield at this time…and this is one of the heavier pieces. Another 2 x Gunners at work. Sword in hand and bellowing out orders! A fine figure of a trained Artillery Officer observing through his telescope ”The fall of shot”. One more red-coated Parliamentary Musketeer. The King himself…a brave man but unduly influenced by his Queen…He set himself on a collision course with Parliament…He was to lose his crown, his country and eventually…his head. SPECIAL NOTE: Royalist Cannon and Gunners will be available later in an upcoming release. From England’s green and pleasant land and bubbling bucolic streams and rivers to…The pure blue skies and waters of the Pacific…and the Hawaiian Islands on the morning of December 7, 1941! Our first “ZERO” is in the markings of Lt.Saburo Shindo flying off the Imperial Japanese Navy carrier “Akagi”…It was him who announced “Tora! Tora! Tora!” over Pearl Harbor to signal the surprise attack. JN002 “Flight Deck Crew” Two kneeling crewmen with aircraft “chocks” ready to pull them away before the aircraft takes off. Japanese sailor shouting “Banzai”…Long Live The Emperor! A standing, saluting version of the “architect” of the Pearl Harbor attack. Here, he wears the “winter” version of the senior Naval officers’ uniform. This second “Pearl Harbor” ZERO was piloted by a Petty Officer from the IJN carrier “Hiryu” and bears the blue stripes on the tail and fuselage. This model has NO pilot in the cockpit allowing collectors to select either JN005 or JN006 to accompany the aircraft. For our final release this month we’ve got a really useful diorama piece that can look great in the English Countryside in the 17th. Century or on a Napoleonic battlefield in the 19th or even somewhere in Normandy in 1944! A larger, more detailed and better proportioned update of an old favorite…Walls and a Courtyard Gate will be added later – a really useful piece! Just a few pieces but great value!